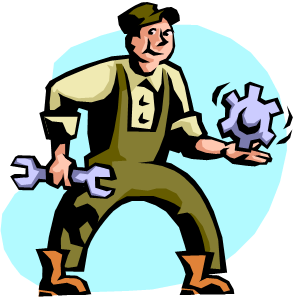 Maintenance Tip – Time for a Spring Tune-up! • Have treatment conditions changed? Check your influent water and effluent quality. • Are chemical feed rates set properly so that all iron and manganese is oxidized? • Have you checked that backwash cycle times are set correctly? • Are the Simul-Wash™ backwash rates set at the proper flow rates and frequency? • Does your greensand media need a Potassium Permanganate charge? • Is the required chlorine residual going to the system? • Are the air release valves working properly? They should allow air into tank when tank is draining down for Simul-Wash™ step, and release air when filling after a Simul-Wash™ step. • Are you meeting your target for a specific water hardness? • Is the bypass operating at the proper bypass rate? • Are the air release valves working properly? They should release air when filling. • Is the softener stepping through a backwash program properly? • Verify that the drain solenoid is functioning and draining when blower is not running. • Verify that the AWI valves are closed until blower is on, then open. After the Simul-Wash™ time for air scour, the valves close before blower shuts down.